Hearts & Flowers. 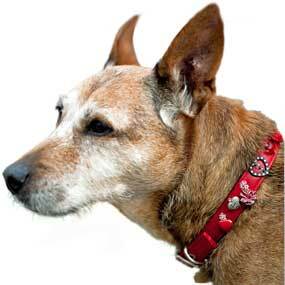 Charm dog collar - Holly & Lil Collars Handmade in Britain, Leather dog collars, leads & Dog harnesses. 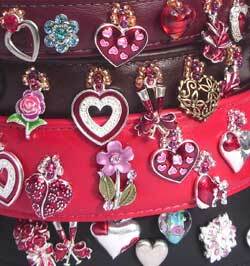 The dense profusion of hearts & flowers gave this collar its name. Add in beautiful beads and glittering Swarovski crystals and you have love at first sight. 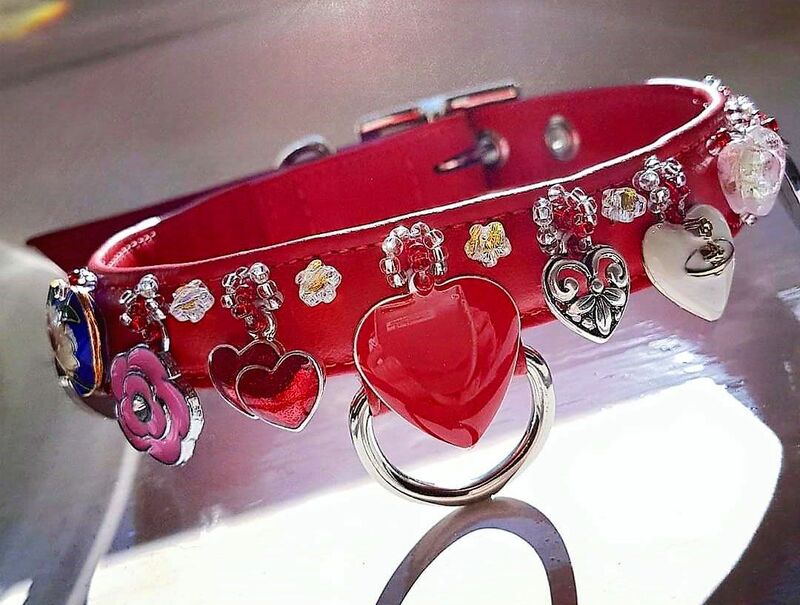 Handmade in England, each collar is a complete one-off, with charms hand-sewn onto our supple calf leather collars.